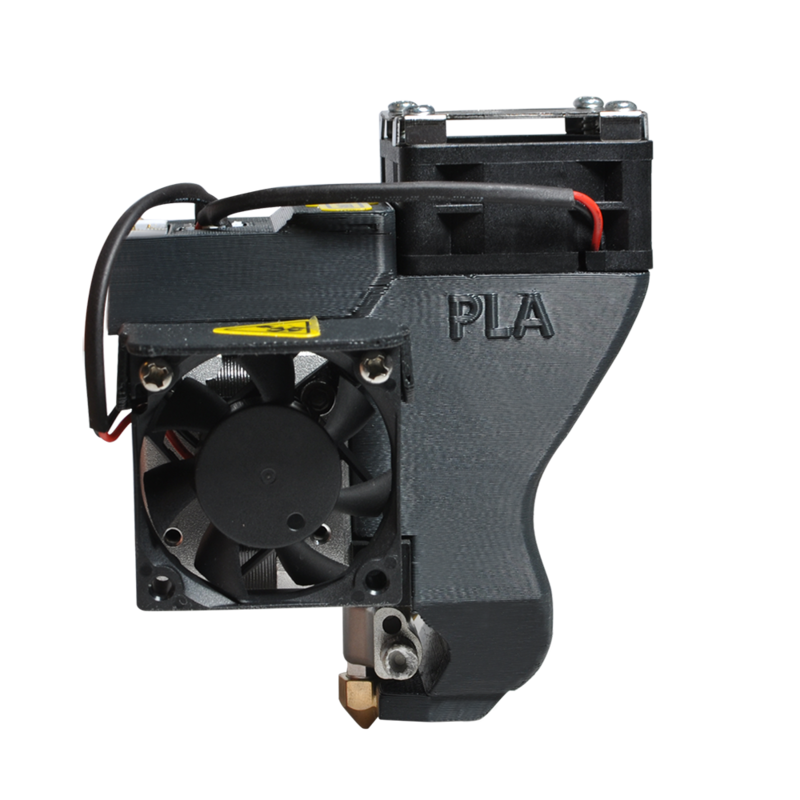 The Tiertime Extruder PLA V1 uses dual fans for better cooling effect. The airflow is adjustable from the top fan to cool PLA prints better. The PLA V1 Extruder uses an 4mm brass nozzle. The extruder replaces or serves as a full spare extruder assembly for the UP 300 and UP BOX+ 3D printer.